Some folks have big dreams about things they’d like to do or places they’d like to go. 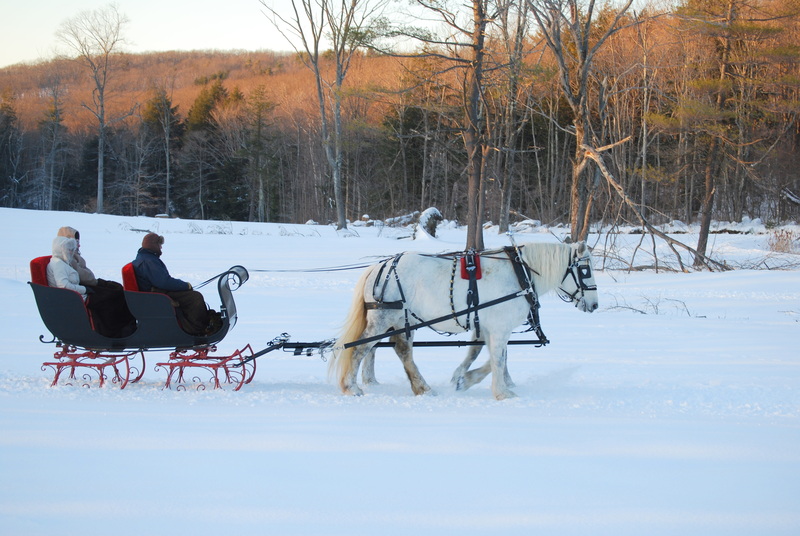 My dream, for many years, has been to go riding in the snow in a horse-drawn sleigh. 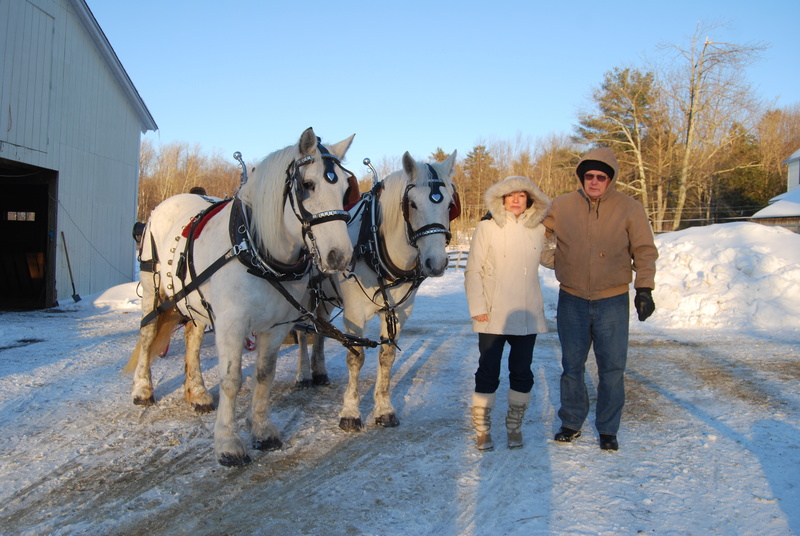 So last year, for our anniversary, Motor Man and I drove to Connecticut to go sleigh riding. 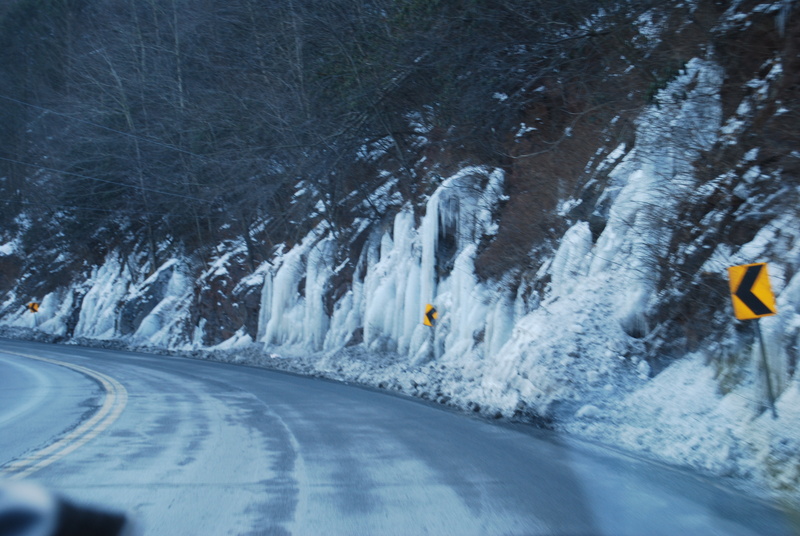 The roads weren’t nearly as treacherous as you would think, looking at this picture. 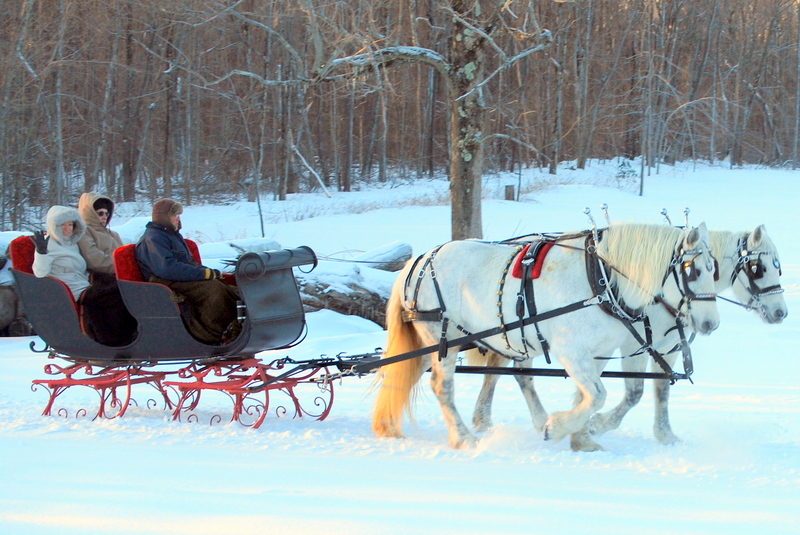 Although the roads were safe to travel, there was a lot of snow on the ground, perfect for sleigh riding. The temp was around 13 degrees during our ride. 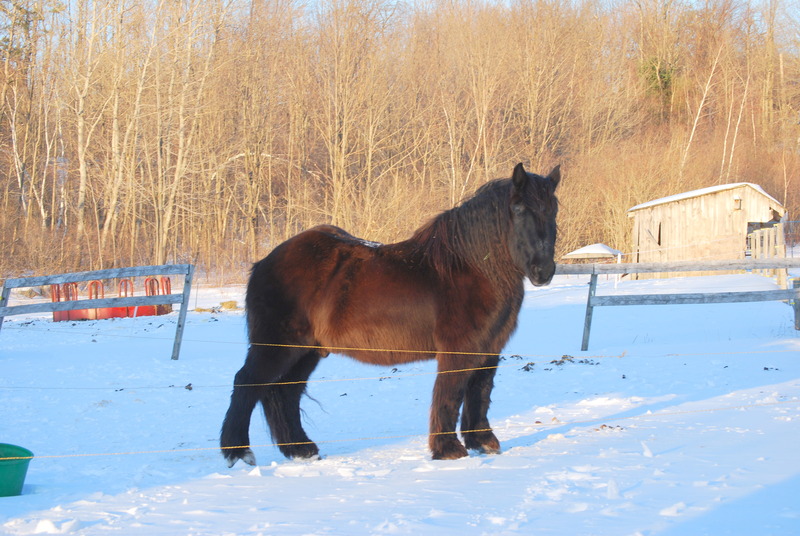 Our team was made up of two beautiful horses, named Sarah and Babe. But look at this handsome guy. This is Joe. I think it’s easy to see that this was MY dream, not Motor Man’s. Maybe it’s just because his nose was frozen. Remember – it was 13 degrees. It’s lovely weather for a sleigh ride together with you! Our ride was at sunset. And you know me and sunsets. Gotta have a picture. …(it’ll be) the perfect ending of a perfect day. This entry was posted in Traveling Days. Bookmark the permalink. A perfect blog for Christmas Eve … that may be all the snow we see. Since we won’t be traveling as usual….”Let it snow, let it snow, let it snow”!! 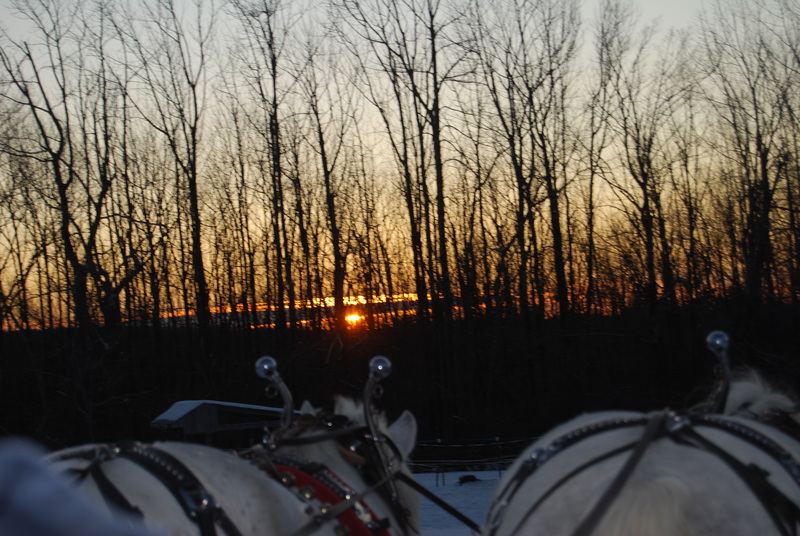 Your sleigh ride looks like fun as long as I’m looking at the pictures and not in them! Wonderful pictures. Made for Christmas. Next time you guys are in weather that cold, take an extra pair of ear muffs. Motor Man can put one side on his nose and the other on the back of his head lol! Wouldn’t want Motor Man’s pretty nose to freeze off!